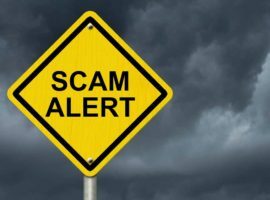 The North Carolina Attorney General's Office is advising residents to not fall for email extortion. The office says they have seen a string of email scams in the past few weeks, from scammers threatening to release private videos of you unless you pay them. The scammers will contact you and claim that they have a password for your email account. This may be an older password for your email or for another type of online account, or it may be a password that you are currently using if you do not regularly change your passwords. The bottom line is that it looks familiar enough to make the email scam seem credible. They’ll say they’ve used the password to remotely access your webcam and secretly videotape you. They’ll threaten to release that video unless you agree to pay money – often via Bitcoin. These scammers are counting on you worrying that your security has been compromised and fearing embarrassment. Don’t let this fear push you into paying. If you receive this email, do not respond or send money. Report the email to the NCDOJ’s Consumer Protection Division by calling 1-877-5-NO-SCAM or by filing a complaint online.